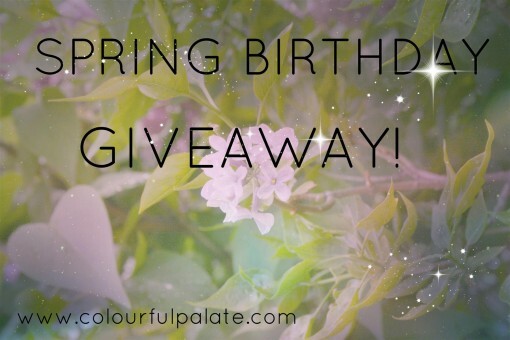 Spring Birthday Giveaway (closed) was posted on March 20th, 2013 and is filed under Giveaway. This entry has 108 comments. You can follow any responses through the RSS 2.0 Comment Feed. Guess what today is? Yup. The first day of spring. Oh, and my birthday. tad excited. I LOVE birthdays. Can’t you tell? Anyway, since birthdays and spring are two of my favourite things…so it’s time to celebrate! This means a giveaway and it’s a big one because there will be 8 WINNERS! One bottle of each of the Lemon / Orange / Peppermint Flavored Stevia Liquids, PLUS the new liquid chocolate stevia! ….AND the grand prize winner will get one pack of each of the previously mentioned prizes PLUS one bottle of Ultimate Flora probiotics from Ultimate Flora. Win one of these prize packs and make spring even more healthy! Yay! You need to have a US address (no PO boxes) to enter for the premier protein pack. HOWEVER, the stevia prize pack is open worldwide! SO everyone can enter! Giveaway ends April 7th. Have a magical day! I know I will! This is fantastic. I’m really hoping to win the liquid stevia because it’s impossible to find in the UK. So many contests seem to limit to just the USA. I follow them all on twitter. I went to all of their websites! I am always looking for new protein bars. Its nice to have quick snacks around during the day. I see posts about NuNaturals all the time and am yet to try them and would love to. I checked all the websites! Checked out all the websites! Happy Birthday Charissa and I would love to win the Premier Protein pack and the probiotics!! I want to win because I’m trying out a ketogenic diet and these would all make it much easier and more delicious to do that! I have never tried most of these products, and it would be awesome to be given the chance! I follow Premier Protein, NuNaturals, and Ultimate Flora on Twitter! And I’d LOVE to try these products, I’ve heard great things about NuNaturals and the other two look awesome as well! 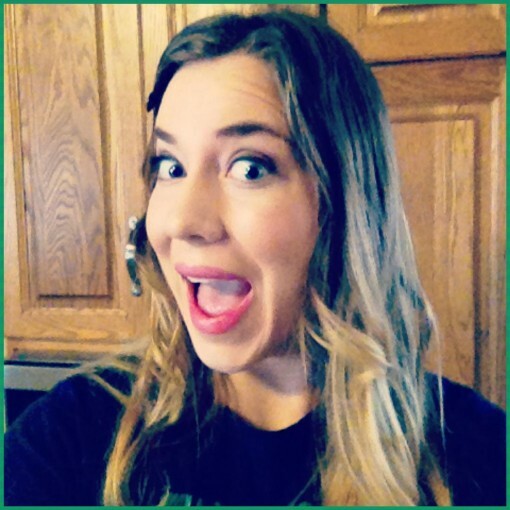 I love living healthily and exercising regularly so I’d love to win this giveaway! I want to win because I recently discovered Stevia and I haven’t tried those flavors yet. They sound tasty. Checked out the nu naturals website (had no idea they had Soooo many flavors!). Ps- happy birthday and Happy Spring! Blessings. Iwould love to win the Premeir Protein as I am looking for one that I like and will want to use each day. I really am going to start exercising this spring and make myself feel better and look better!! Thik this could help! And, HAPPY BIRTHDAY to you!! And.. I’d love to try out these products. I’ve never had chance. Happy Birthday! Hope you have a wonderful day. I would love to win the Stevia products as I have never seen that selection in Canada. Great to know Canada is included … and by the way, love your site. Happy Birthday …. I hope you have a wonderful day! I love your site and like seeing all the new products you introduce, some unfortunately we can’t get in Canada. I would love to have the opportunity of winning the Stevia as I have never seen a variety like this in Canada. Enjoy your day! I wanna win because I love all of the prizes you are giving away. Happy birthday! All these natural products sound great and so nutritious. Would enjoy trying the Renew Life Probiotics to give a boost to my digestive system too! Thanks! I also checked out Premier Protein, Nu Naturals and Renew Life’s websites too! I’d love to win because I use stevia a lot- but it hurts my wallet pretty badly. :/ Haha happy birthday and thanks! Love stevia for sweetening things and the Premier Protein has such yummy flavors and the probiotics would be fabulous for some internal spring cleaning! Would love to win! I follow all 3 on Twitter via @serene_streams! I checked out all 3 websites! Hope you had a happy happy birthday!!!!!! I’d love to win the stevia. All these products sound fabulous for some healthy detoxing! I checked out all their websites too! Love the probiotics for healthy digestion! Would love to win since im trying to add more protein to my diet and cut out artificial sweeteners! Looked up the websites for all three! I’d love to win because such healthy yet filling products are hard to find. Also, I perused each product’s site for more info ! Hope you had an awesome Birthday! I would love to win one or all of these fabulous prizes. I’ve read your reports about how great the NuStevia is and would love to try it. I don’t do Twitter, but I pinned the NuStevia product image. I want to win because I love my protein and can always use more to fuel my muscles and I just got done with a round of antibiotics so I could really use a healthy dose of ultimate flora! Thanks for the giveaway Nessa! Happy Birthday!!! I want to win because these are awesome prizes to keep me healthy! I subscribe! Thanks for the giveaway!! I want to win because I’m always in need of new protein products and I’ve heard a lot about NuNaturals! I followed them all on Twitter. I check out their websites! i want to win because I’m trying to get my husband to eat more of this good stuff! checked out all 3 websites! Happy birthday from another march baby. Love spring. Love birthdays!